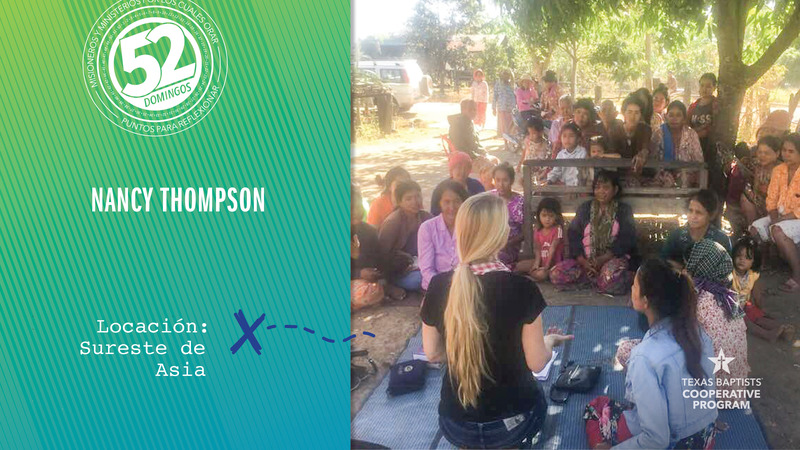 Nancy Thompson* is a nurse practitioner and missionary who helps with medical clinics in villages in Southeast Asia. One day, Nancy met a woman named Melea. She was around 50-years-old and was born with a genetic disorder which caused hundreds of tumors to grow all over her body. Melea was ashamed of her appearance and saddened that nobody in her village would have anything to do with her. They would not even shake her hand. But Nancy did not avoid Melea as the villagers had done. Instead, she sat with Melea and asked about her life. Melea was shocked when Nancy actually held her hands as they prayed. Before long, Melea tagged along to help Nancy with medical clinics. Nancy took her to church, where the members also cared and prayed for her. Soon not only Melea was saved, but her entire family came to faith in Christ. For the first time in history, there are now nine Christian believers sharing the Gospel in Melea’s village. 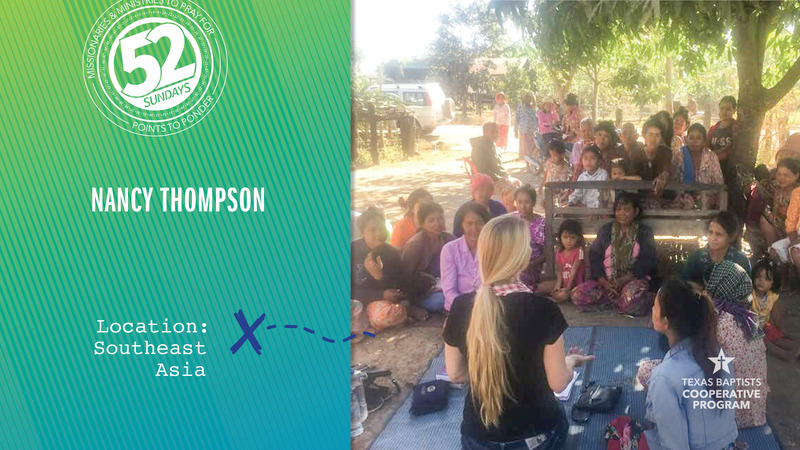 Our church supports Nancy in Southeast Asia with our gifts through the Cooperative Program. Let’s pray and ask God to keep her safe and bless her in her ministry. And let’s pray for Melea, that she would be healed — and remain strong in her new faith.